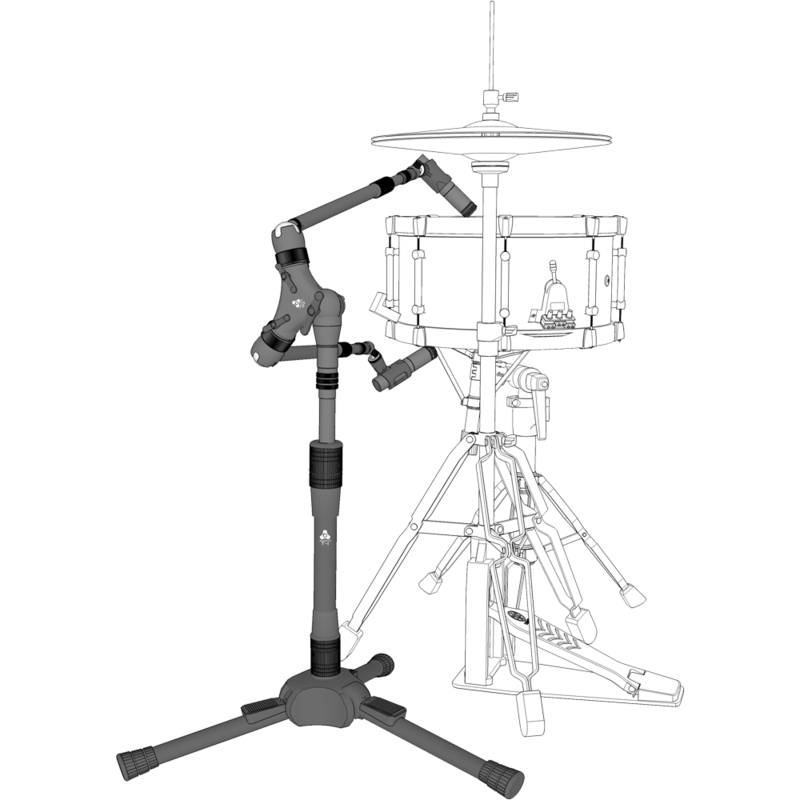 Offering a wide range of diverse simplified miking solutions for your instruments, drum miking is one of the most advanced one. There are some different solutions from miking your hi-hat and snare together as well as top and bottom snare together. 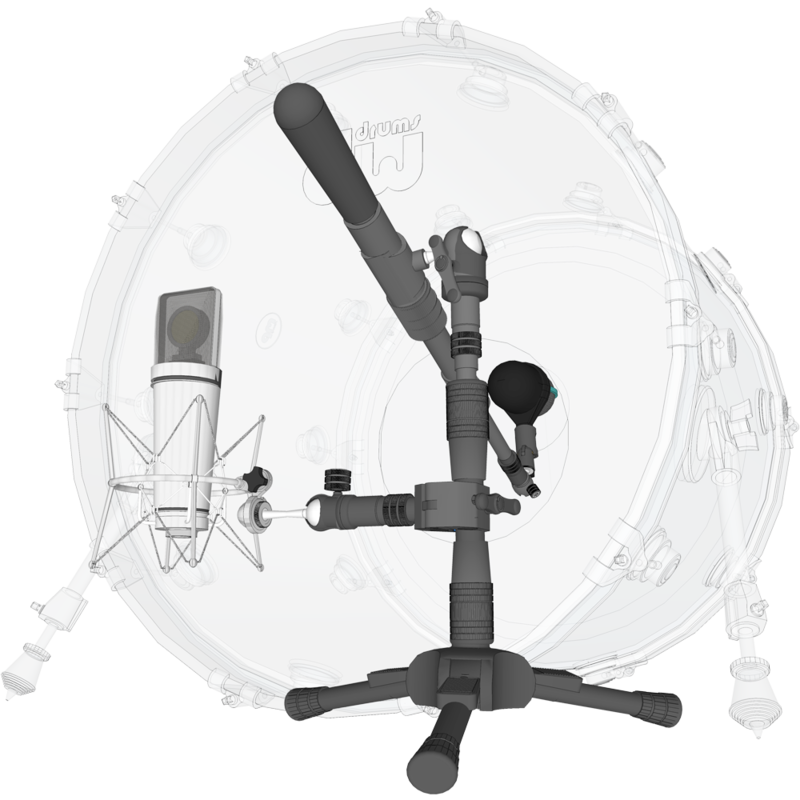 There’s a solution for the inside and outside kick and you can mic your overheads together with the kick drum. The perfect setup to mic a Hi-hat and Snare combo. 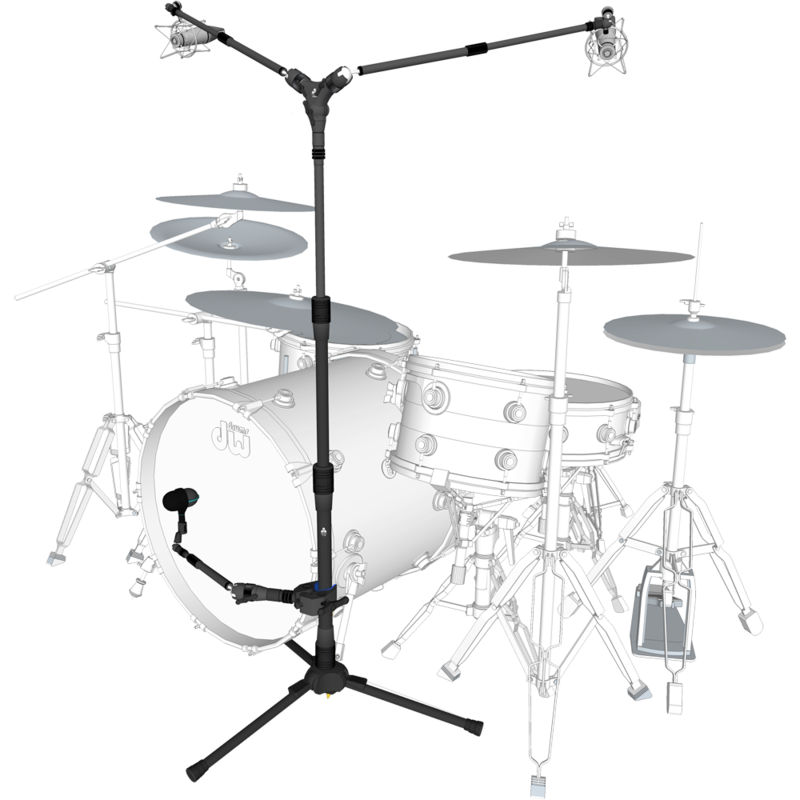 Reach in between your drum kit, with just a single stand, and a dual arm orbital boom which allows for maximum flexibility and extremely precise positioning of your mics. Any sound engineer or recording drummer can tell you how difficult it can be to get that perfect snare drum sound. This combo allows ultra-precise position of your microphones, so you can capture the beautiful attack of your beloved snare drum. All this with just a single boom, and a flexible dual arm orbital boom. To avoid the kick drum taking over the lead vocal, precise placing of the mic is essential. With the Short single-arm Orbital Boom the inside kick can be captured ultra-precisely. The Precise Clamp makes sure the outside kick is captured. Capturing overheads, can be tricky with a conventional microphone setup. 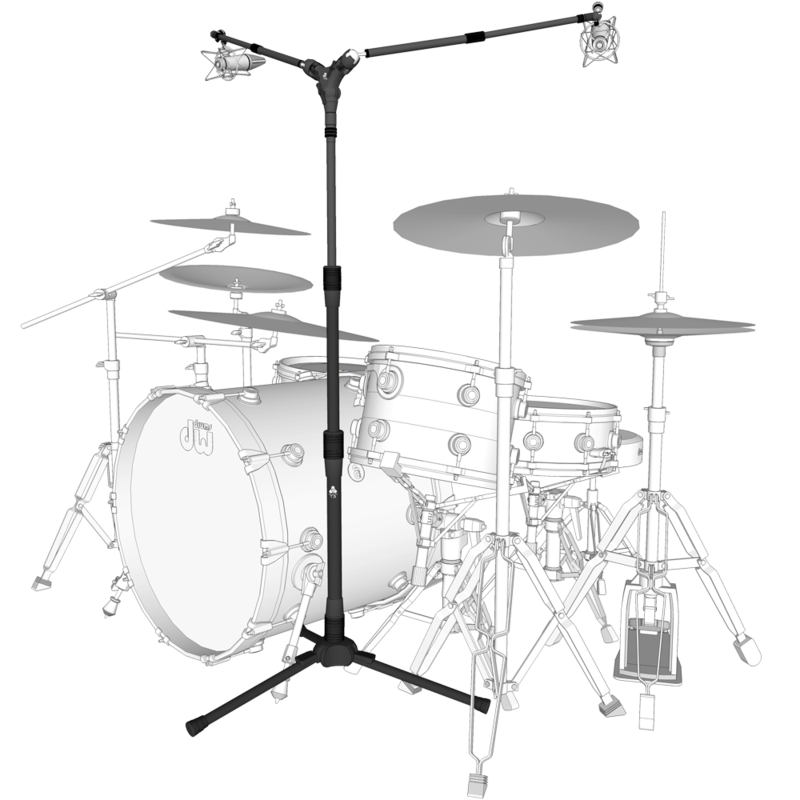 Due to the required height, and the combination with heavy mics, stands may not always be very stable- especially when playing live on a drum raiser or festival stage. With Triad Orbit's T3 and Orbit2 boom, you can capture your overheads in stereo with a single stand, without having to worry about stability. Miking the overheads can be extended with miking the kick drum. 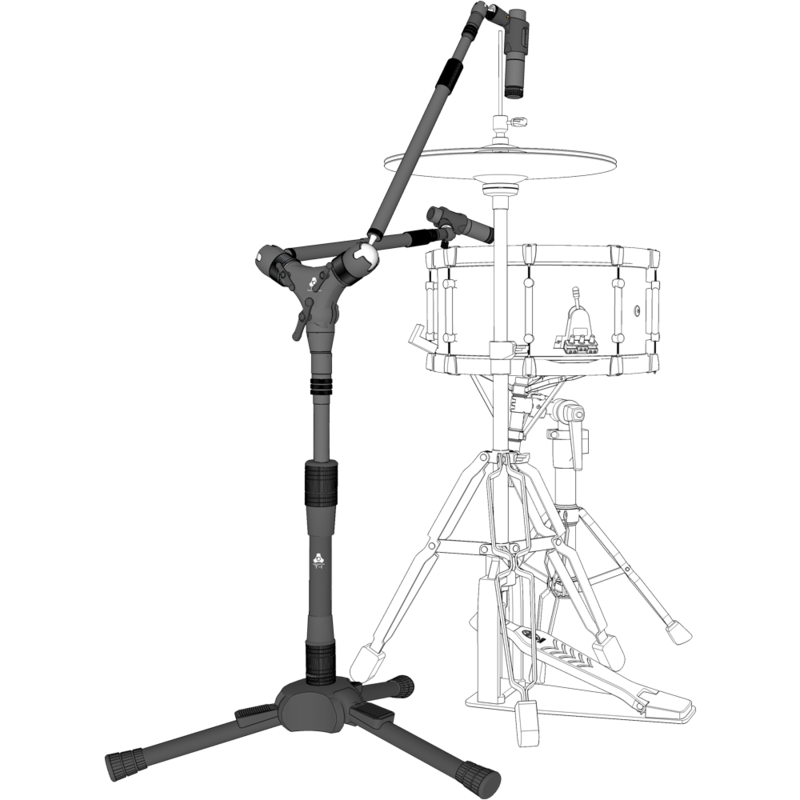 With the precision clamp and an Orbit OA we can get the perfect kick drum sound in a very easy setup.